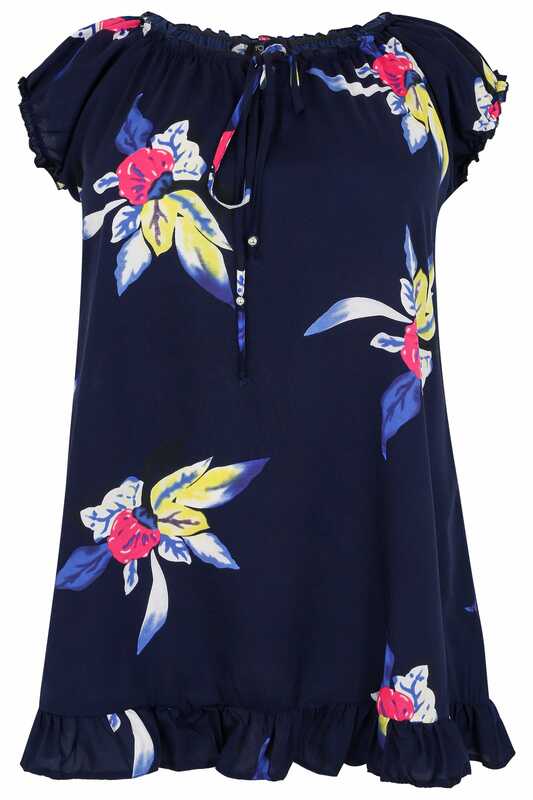 This floral top features an elasticated neckline and cuffs with a frill hem to create an on-trend gypsy style. Team with skinny jeans and pumps for a chic daytime look. 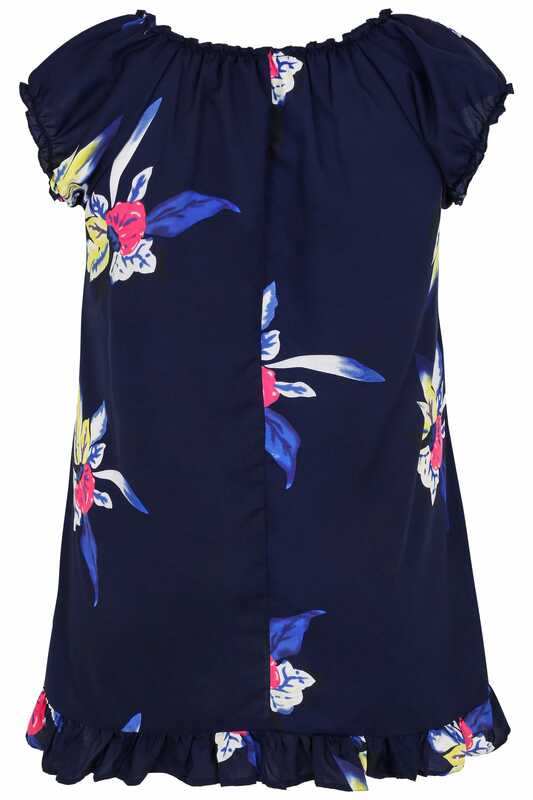 We love the statement print.